The Festival Internacional de Benicàssim (FIB) offers a new edition in mid-July that any fan of the indie and electronic music should miss. Four days of almost non-stop music and many years of experience in Benicàssim have positioned FIB as one of the most prestigious music events in our country. There is no indie star from the present or the past that has not been on the stage of Benicàssim. This edition, the festival reinvents itself with a stellar line-up of international pop, electronic and hip-hop bands. The region of Benicàssim has demonstrated to be the perfect venue for hosting such popular events as FIB. 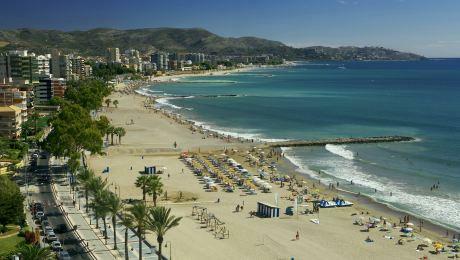 The amazing beaches- which every year become a must-see place for all attendees who wish to freshen between concerts -, a privileged environment and a pleasant weather allow the region to become, for a few days (from 18th to 21st July in 2019), the main destination of Castellón. What makes the difference between FIB and other festivals is its social and environmental responsibility, honoured with the Green 'n' Clean Award in 2010, as well as its wide range of cultural events. And, along with concerts, the fibers can participate in many performing, visual and conceptual art initiatives.